To be straightforward, most of us are just plain busy. Between work and other commitments with friends and family, we tend to forget that we all need time to relax. That’s the toughest pill I had to swallow this weekend. The good ol’ mom recommended chill pill accompanied with steroids and antibiotics prescribed to me from the emergency room doctor. Okay, my mom neither the doctor prescribed me the chill pill, but advice from friends and family made it evident I need to step back and take a breather. The past six months have just been go, go, go for me. Right now, I find myself four weeks deep into training for my first half-marathon in November. In the meanwhile, I am currently working a full-time job and a part-time job, while trying to spend time with Eli, stay faithful to my LifeGroup, attend to a garden, begin prepping to facilitate Financial Peace University at work, run at least three days a week, play on an outdoor soccer team, and all of this while keeping commitments with dear friends. I think it was only a matter of time the God finally said, “Krystal, you are not superwoman.” So, this week, I am taking a break from just about everything to relax, catch up on some books, and bake. Besides the fact the my Saturday morning run ended disastrously. Katie and I have found some fun ways to liven up our run. I am almost hesitant to share them, because I feel like they are such hidden treasures. 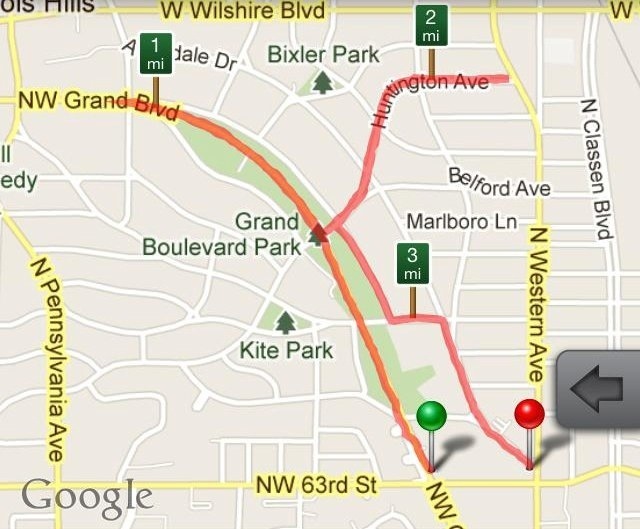 First, if you are looking for a running app for your iPhone or smartphone, check on RunKeeper.com. It is pretty cool. You can add your Facebook friends that already use the app to your street team, that way you can cheer each other on, as well as track your miles/kilometers, calories burned, speed, and so on. You also get “badges” for longest runs, fastest runs, and what not. Check it out if you are looking for a new app. It also maps your run, so you can check it out on your phone or log in on your computer for all your stats. Okay, so the hidden treasure. Check out RunningAlphabet.com. The goal is to run in EVERY letter of the alphabet. You can map out your runs prior to running them and then let the fun begin. If you are better at navigating you can try running to letter as you go. You can submit your completed letter to RunningAlphabet.com. Just follow the guidelines placed by the site creator on your letters. throwback thursday- never did an update. Well, it has been two months since the OKC Memorial, and I never did post an update. I finished! And got a snazzy medal. My goal was 59 minutes, and I ended up running it in 69 minutes. Realized yesterday, I actually ran it in 57:02 10 minutes over 1:58 minutes under my goal time, but what can you do? Woohoo!!! Since then, I have been trying to stay active and participate in some sort of competitive event each month. I really didn’t have anything planned for June though. 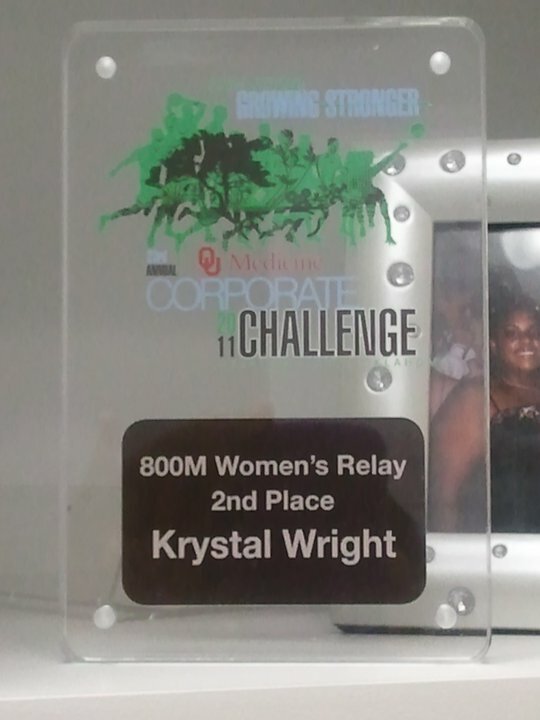 Fortunately, my company participates in OU Medical Center’s Corporate Challenge each year. Behold, one of the relay team’s was short a female runner. Although it was not a foot race that required excessive training, I stepped in to run the 100 m leg of the race. Our team finished second in our heat, just behind the other CHK team. 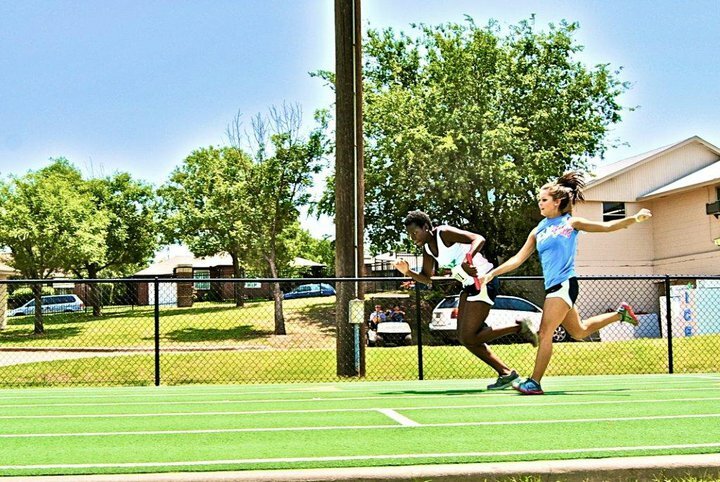 Our hand-off… Don’t judge, I never ran track. Tentative- Half Marathon in October in North Carolina with my sister Stephany Speck. She also introduced me to a new running app called RunKeeper, and I have loved it so far. throwback thursday- Day One of my 10K training. This could be a fun tradition to start it’s amusing to look back on where it all began. Some of you may know that I’ve never been too much of a runner or a writer. I ran XC in middle school thinking it would help with my asthma- it made it worse. I also took creative writing in high school strictly due to the fact that I like my penmanship (Sorry Mrs. Crane). So, tonight I am conquering 2 battles. 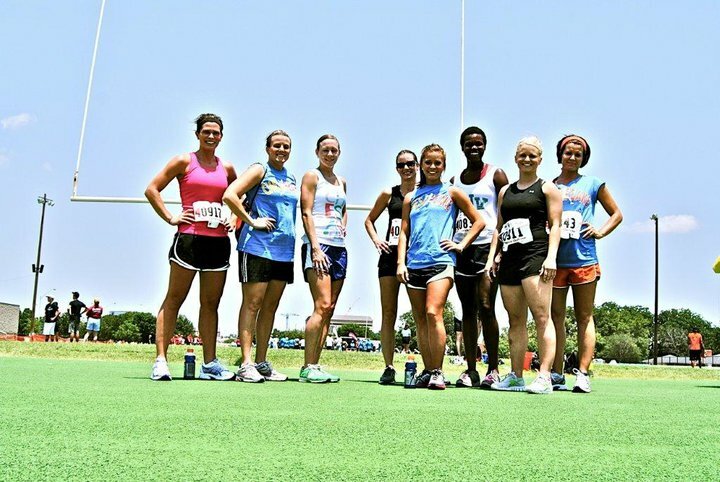 I have decided to blog throughout my training for OKC Memorial Marathon relay. Not only because it is something I can use to reflect my feelings throughout this journey, but also to keep me accountable. We all need accountability. So, today started simple with just a mile and a half run. Rachel was kind enough to be my running buddy throughout this venture. (Like how I did that? Now, you guys can hold Rachel accountable too.) We headed out to a trail that she really likes outside of Bethany. Surprisingly, it is a lot easier to run with a buddy than all alone. Maybe, because you guys may have the same thoughts going on in your head or have the same goals in mind, who knows? But, today was a good chilly run. Tomorrow is cross-training day, so I think that I will go to my boxing class at the gym. Weather permitting we will return to the trail on Wednesday. I will keep you updated.